The ultimate battle royale, in which seven Mages each vying for control of the miracle-granting Holy Grail summon seven Epic Heroes and fight until only one remains... The Holy Grail War. Around the world, the selection of participants has begun way in advance of the opening of the Grail War. Eight years ago. The cries of a newborn baby girl echo through the castle of the Einzbern family in Germany. 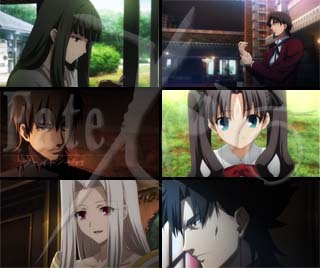 Kiritsugu Emiya, the father who holds this girl, who has been named Ilyasviel, is one of these chosen Mages.